The rental application is required for each occupant 18 years of age or older. RENTAL HISTORY: Please list your rental history and check the phone numbers by calling them before writing them in the application. Don’t leave your rental history blank and put N/A if needed in any blanks. 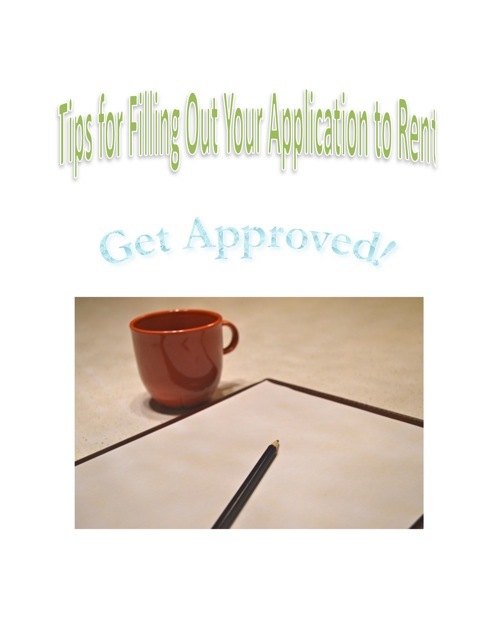 Completed rental history will make you a stronger applicant to the owner.It will help if your application looks complete and the owner does not have to request you to fill that section out. CREDITORS:List your creditors that hold your debts and include average monthly payment. Some examples are car loans, credit cards and school loans. REFERENCES:Please list a minimum of two people who can be reached. Each person have must their own references and they cannot be landlords or family members. OCCUPANTS:Please list all the people you plan to live with in the apartment. If you won’t have roommates, please put self. Showing the landlord that you can pay the rent: What do you do for a living? Are you a salary, independent contractor, or freelancing? Did you start your job or did you just move to LA? Are you a student? PROOF OF INCOME:Typically, you will need to show that your income is over three times the monthly rent. What can you show the landlord that you can afford the rent?Do you have pay check stubs? If it is a new job, please also submit last pay stubs from your last employer and the offer letter from your new employer. Some landlords may need three months bank statements in this situation if you are starting a new job. NEW POSITIONS (LESS THAN 3 MONTHS): If you have a new job, please submit an official signed offer letter. This must be on company letterhead, showing income, part or full-time, start date & signed by employer. Also include any current paystubs you have received thus far. For new employment, savings is very important. Include bank statements showing reserves/savings and pay stubs from previous job. SINGLE JOB/SALARY: If you have one source of income and your pay stub, list the year to date, two current pay stubs are acceptable. Submit bank statements with savings reserves in order to have a stronger application package. FREELANCE/COMMISSION/MULTIPLE SOURCES: If your income varies for any reason, provide a minimum of three (3) months of bank statements. If the deposits vary dramatically you may want to provide more than 3 statements to show the usual average deposit. You can also show more bank statements if you think it would make your application stronger. For the bank statements, you will only need to show the summary of your bank statements. Please try to pdf the bank statement. If you are a student, please provide documentation for student loans and student ID. If you have a cosigner, the cosigner has to fill out a separate application, credit check and also submit the same documents as the applicant such as bank statements, driver’s license and pay check stubs. Check to make sure that you have submitted all necessary documents: A copy of your driver’s license, application, credit report, pay check stubs, your bank statement and a short bio about yourself and your occupation.